DRS MIX 004 - Fresh & Kristian Conde. 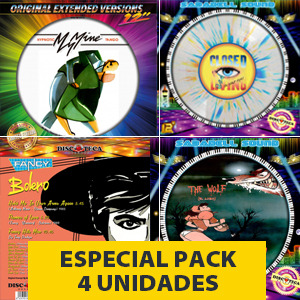 Discoteca records is a new record company which intends to bring back the past dancefloor hits as well as rare old dance tunes in their full length, extended and remixed versions. Our motto is "Quality, Love & Passion" because we firmly believe that by offering the best repertoire and sound quality, as a result of our love for music and passion for our job, our customers can enjoy it with the same vitality and dynamics as the producers and artists originally intended.